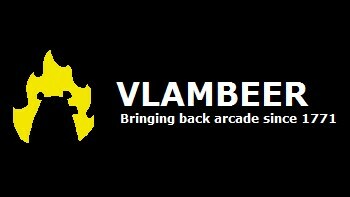 Vlambeer has changed the name of its new project from Wasteland Kings to Nuclear Throne because Wasteland 2 developer inXile Entertainment asked nicely. Vlambeer, the Dutch indie studio behind games like Luftrausers, Ridiculous Fishing and Super Crate Box, announced Wasteland Kings back in August. While not exactly the most informative title ever - I envision something along the line of Game of Thrones, but with a bunch of Lord Humungus types - it had an undeniably cool ring to it. But now, because of a potential trademark conflict with inXile's upcoming Wasteland 2, the title has been changed to Nuclear Throne. It's a particularly noteworthy change because in a very pleasant turn of events, the whole thing happened without any intervention by lawyers. Instead, Vlambeer was contacted by a Dutch employee of inXile, who said studio boss Brian Fargo and members of the development team were concerned that some people might think the new game was a title in the Wasteland franchise. "We've been through a lot of trouble with people riding on things of ours, and we understand that American trademark law is pretty strict in that not defending a trademark weakens it. We realize that both games are set in a similar setting, that the names are similar and that InXile obviously felt the need to reach out," Vlambeer co-founder Rami Ismail wrote on the studio's website. "Although we aren't sure Wasteland Kings and Wasteland are confusing enough for this to be an issue, both us and InXile really don't want to spend development time on arguing over trivialities." "Most of all, we appreciate that the first contact between us was by a normal employee, and not a lawyer," he continued. "There was no extravagant Cease & Desist-letter, nor a threatening letter in an envelope labelled 'URGENT'. The e-mail we received was short, amicable and to-the-point. It was followed up by a quick conversation on Skype, in which we established that it would be the right thing for us to change the name." Rami said that's how things should work, and he's right: Obviously it's easier for a couple of indie game studios to maneuver like this than, say, Eurocorp and Cayman Global, but it's a pleasure to see people getting along like grown-ups no matter where it happens. The newly-named Nuclear Throne is being developed for the PC, PlayStation 4 and PlayStation Vita, and will be available through Steam Early Access and the Humble Store in early October.